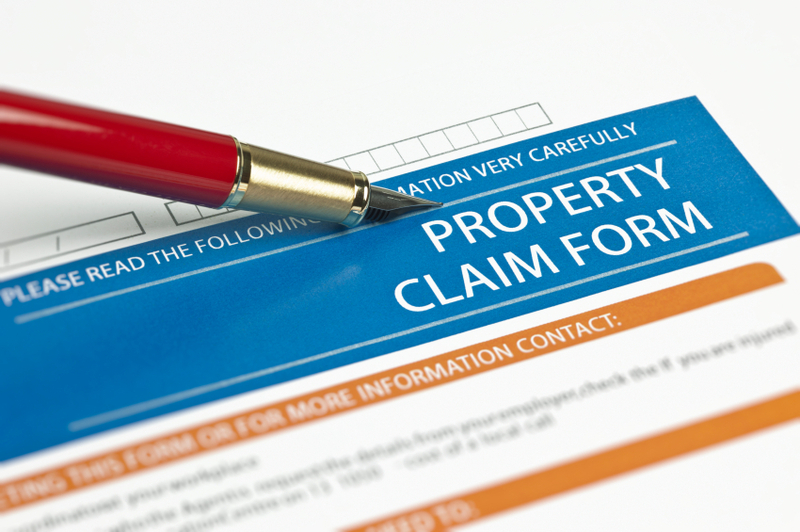 Home Insurance Claim is the process which we all would like to avoid as it supposes that something bad has happened and it’s time to inform the insurance company about it. Before making it, let’s analyze how to organize it correctly and provide all necessary information so that the company could start working immediately without asking for additional data. Get quotes online and save on home policy. How to Apply Home Insurance Claim? The first step for you is to file your claim. It supposes that you have to make a report describing the loss or damages. After this, you will receive answers on the questions you have and decide on how to continue this process. That’s why the second step for you here is to contact a local agent or call the claim team member. Such a member will assist you in determining the best way of handling your losses. The third step suggests evaluating the claim and the sum of coverage, after which all the repairs and possible replacements will be taken into consideration in accordance with their level. The fourth step you should make is to review the estimated list with your adjuster as he or she will explain how all these issues will be solved and what the first step of solving this problem is. And the last, but not the least step is based on wrapping up the claim by getting the explanation of the adjuster and decision of the insurance company. At this time, you will also be provided with settlement documents. Fill free to compare home insurance rates using zip code or state to calculate average cost of policy. If your property was damaged, please, make use of all possible measures to stop the losses being increasing. For example, in case of water leak collect all the valuable items and take them away from house or just put them higher in order not to have them soaked. It will be great if you check the policy for covers in order to know what you can count on. Pay attention that you shouldn’t get rid of damaged items without informing the insurance company since it will be extremely difficult for it to estimate the damage level. If you have already thrown something away, it’s most likely not to be covered. So, keep everything safe not taking into account its condition and type of damage. If there is some accident happened with your property, don’t try to admit the fault, just consult the company immediately. Ask every member of the family if they are okay or need some help and call the ambulance or police if necessary. When you have become a victim of a burglar, try to find some witnesses. In most cases, neighbors have noticed some car or the clothes the person was in. Write it down since in a stressful condition you may forget such important details. Notes will also be useful in case of injuries, especially if the person or theft is caught. This way you will help even the court to condemn the right sentence. Note details such as the manufacturer, model, price and other data, which will confirm the value of any item being damaged. If the some accidents have happened with your card (e.g. it was stolen or used by an unauthorized person) and you can’t provide any evidence yourself, you may ask your bank for assistance. It may give you the check or extract with last operations. Photos are the best proves of any accidents as the more documentary evidence you can provide, the better it’s. What’s more, most insurance companies highly appreciate the visual proof of burglary or cataclysm. So, spend some time on examining your territory and taking detailed photos. Nevertheless, if you have sent the approximate sum for replacement and it’s too large, the home insurance company may send the investigator or the so-called loss adjuster. He will come to see and check everything with own eyes as sometimes the company can’t pay the money just for the written explanations and calculations. The adjuster will do his job and also inform you about the approximate period you have to wait before the payment. As soon as you have filled in your application form and the adjustor has visited you, you are most likely to get the decision without any problems. The insurer will organize all repair works and send you the repairers and mechanics or pay you the amount you need so that you could make it yourself. You will receive the appointed sum of money at your bank account or card. Pay attention that if there are some extra money, you will have to refund it to the insurance company. One more significant aspect is the compulsory excess, which is necessary to pay back to the insurance company. As a rule, the cheaper your premium is, the higher this excess will be. So, take all the mentioned above moments into consideration and then you will file the claim as fast as possible and get the financial help or any other assistance very fast. We recommend you to get low cost home insurance which is provided by local leading companies. You need to enter zip code first, then go to the next step and fill in some details about your house. It needs to calculate quote online and provide you results instantly in few minutes.